If you’ve found yourself searching the internet on anything related to choosing a plumber, then you’re most likely having plumbing issues such as broken pipes, clogged drain, and other such issues. Choosing a professional plumber will give you the assurance you need to stop worrying about your plumbing problems. However, it’s not easy to choose the best plumber. Luckily, here are are some ideas and tips that can assist you in making the search process easier. Although you’ll spend some time looking for a professional plumber, choosing a reliable one will save you money, headaches and unnecessary repairs. All local authorities and states require plumbers to have a valid licence for plumbing. This includes all plumbing tradesmen. Only deal with licenced plumbing companies. Thus, confirm that they have valid licences. Also, working with a licenced plumber means that they have the necessary skills required to practice plumbing. A skilled plumber takes all possible precautions to make sure that they solve problems rather than creating more of them. Nevertheless, accidents may happen at any time. Thus, you should only deal with an insured plumber. They should be insured for general liability and workman’s compensation. Such insurance cover protects the workers handling problems with your plumbing and also covers your home. Another major consideration you should make is the experience of the plumbing company. Consider an established company, that’s a plumbing company which has been offering plumbing services for many years. Although every company starts from somewhere, plumbing may get complicated or your home’s condition may be at stake. Thus, consider a more experienced company for assured results rather than risking with a start-up company that will only learn from the mistakes in your property or home. Although a website won’t repair or fix your plumbing problems, it’s often the first point of contact between the company and prospective clients. Thus, a professional company should have an informative website with information about the services they offer, business hours, areas they serve and whether they offer emergency services. An informative website is an indicator that the plumbing company values and cares for their prospective customers. 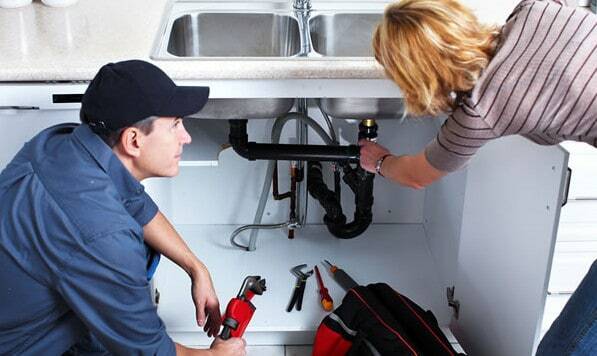 Reputable plumbers should offer warranties as a guarantee for their work. While most plumbing fixtures come with a warranty from manufacturers, labour and the quality of services from plumbers should be warranted as a guarantee. 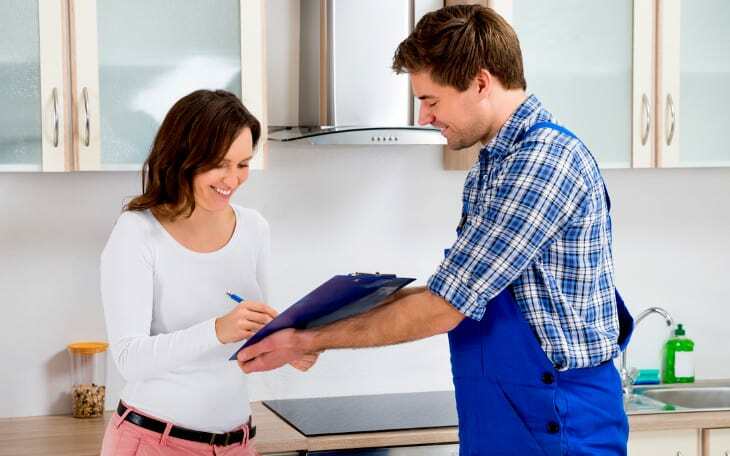 Thus, first check whether the plumber offers a warranty on their services before hiring them. A warranty is an indicator that you’re hiring someone who offers reliable services and they can fix any other problem that may arise. Satisfaction guarantee with respect to customer services also matters. Thus, the best company will arrive on time, serve you professionally and complete the work quickly. The best company to choose is one that’s willing to offer free, upfront quotes for fixing your plumbing problems. Never work with a company that’s not offering clear pricing before work commences. Hiring a company that doesn’t offer upfront quotes may leave you frustrated since you may end up paying beyond what you budgeted. Only work with plumbers who are fully transparent about their charges. A reliable and professional company should answer phone calls positively and in a warm, friendly way. Moreover, the customer service representatives should be helpful. The way they handle your calls will reflect how they are likely to serve you thereafter and handle the work at hand from start to completion. There are some household or office fixtures you may go cheap. However, plumbing is not something you can go cheap. You should strictly go for quality services from plumbers who’re fully insured, licensed and offer clear, transparent pricing. Also, they should offer a warranty to guarantee their service. Issues involving plumbing may be disastrous and expensive to repair. If need professional plumbing services across Australia, Fast Plumbers has what it takes to assist you with all kinds of plumbing issues you might be having. Never ignore issues affecting your plumbing. If not fixed, the problems may worsen or even cause more damage to your property such that you would have to repair the floor, walls, and insulation. Such repairs may end up being very costly. Always have the problems fixed as soon as you notice them before they grow into bigger, costlier problems. Only hire a professional plumber and be guaranteed of a stress-free service. Reputable plumbers should be willing to share their references. They’ll be coming to your home for several hours or days, thus you’ll want to be assured of their quality of service and expertise. By reviewing their references, you’ll know whether they are credible or not. It would be great if the company has an office in your local area. This way, it’ll be easier to contact them or even visit their office when needed. You may find plumbers from online services, Yellow Pages, newspaper adverts and even personal referrals. However, some sources are better when compared to others. Today, online referrals are becoming a huge business and the trend is growing. There are many sites that offer free referrals and links to different professionals, including plumbers and contractors. Most of these sites use different vetting techniques and reviews from users to shortlist the listed professionals. You’ll simply search for plumbers within your area and compare them. Referrals from friends, family, and neighbours are one of the top ways of getting the best plumbers. In case you know anyone who had plumbing issues recently and appreciated the services they received, then you can ask them for the contact information of the plumber. You can also ask for referrals from local property agents and remodelling contractors. Prints ads, be it in local newspapers or Yellow Pages, are not very reliable for getting good plumbers. Although some companies that pay for big adverts are often large companies, it doesn’t mean that they’re the best. In most cases, it’s not a must for great plumbers to advertise themselves since their reputation speaks for itself. The best plumbers grow by referrals, thus they’re often too busy to advertise themselves. 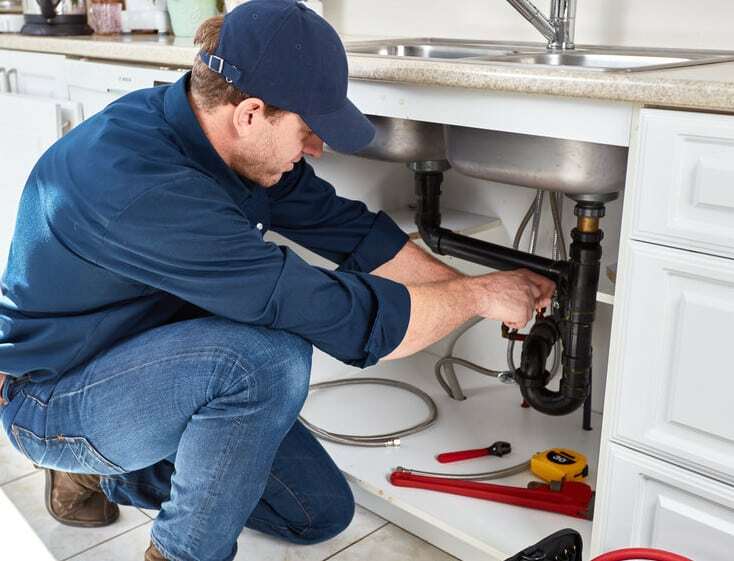 Plumbers include those who deal with plumbing installations or remodelling projects and those who specialize in repairing any existing plumbing installations. This is a plumber who is undergoing training with non-union or union contractor organizations. Training involves paid practical work and classroom instruction. An apprentice works alongside journeymen or master plumbers. This is a plumber who has successfully passed the apprenticeship training and earned a journeyman license from the local state. Journeymen can handle most plumbing work. However, most journeymen don’t have established companies. This is the highest level of qualification in plumbing. Master plumbers are most qualified and have worked for many years as journeymen and may have an associate degree or certificate from vocational schools. Also, they have passed hands-on and written exams. Most states require master plumbers to complete many hours of ongoing education annually. In addition, most master plumbers have established plumbing businesses and can handle all kinds of plumbing work.